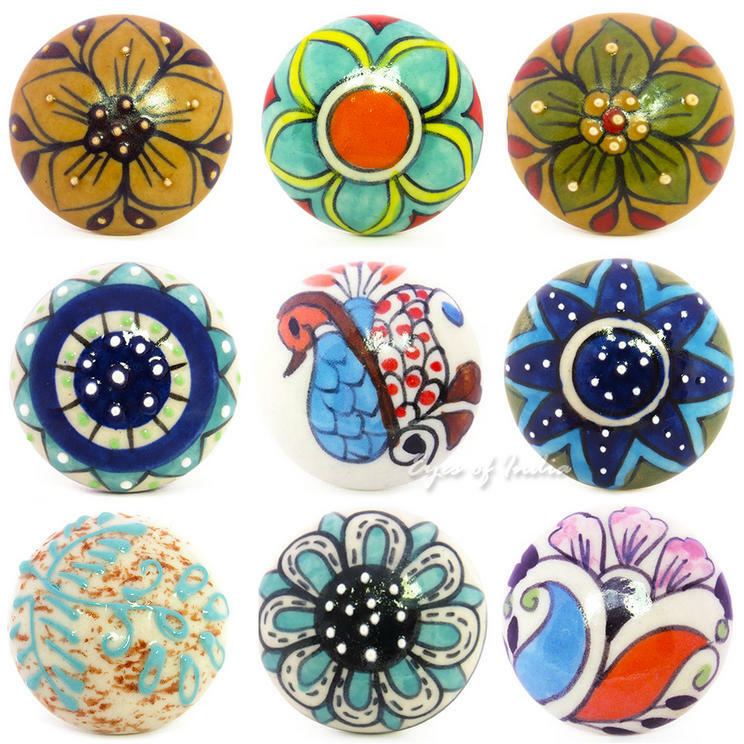 Ceramic Handles provide the perfect base for stunning designs to be painted upon then, with decorations added during the design process. 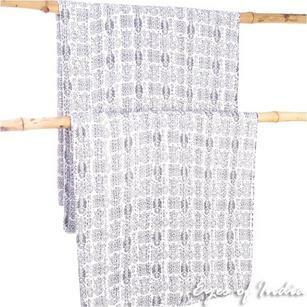 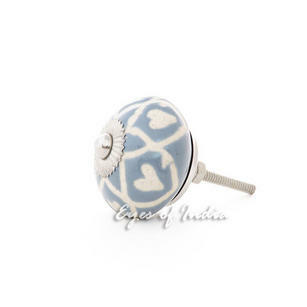 All of our ceramic handles are handmade and designed in India by craftsmen, who have learn their skills through generations. 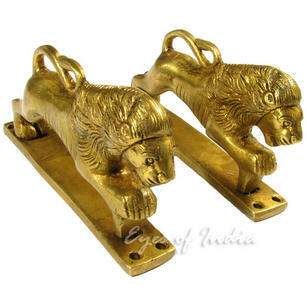 In working with these craftsmen direct, we can ensure everybody receives a fair price - and we continue to help the craft industry in India survive. 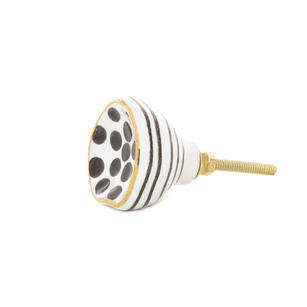 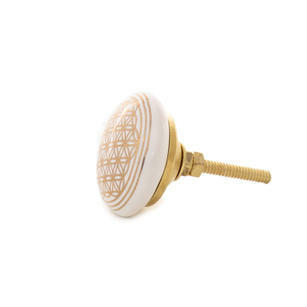 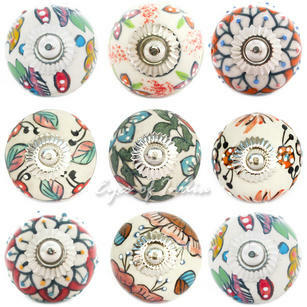 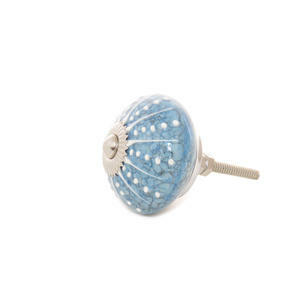 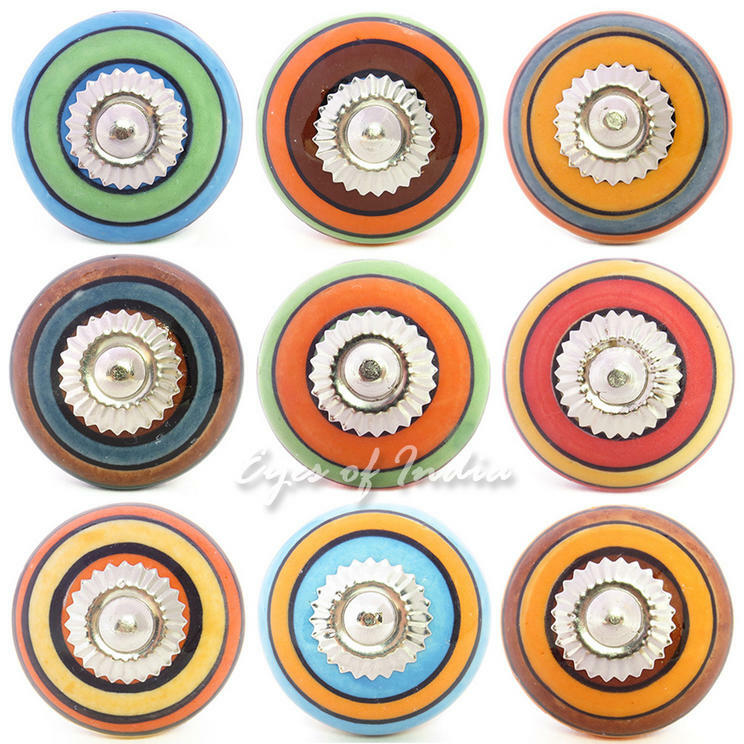 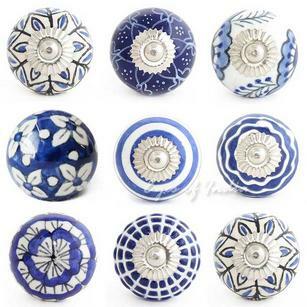 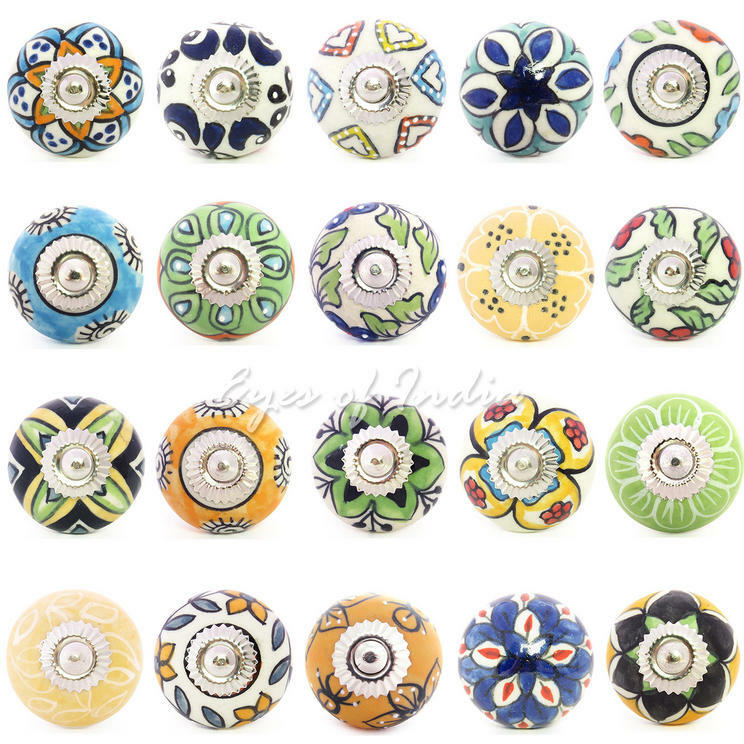 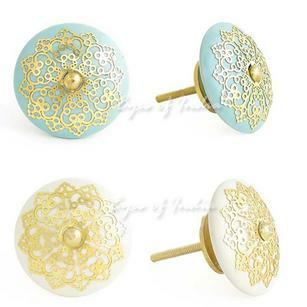 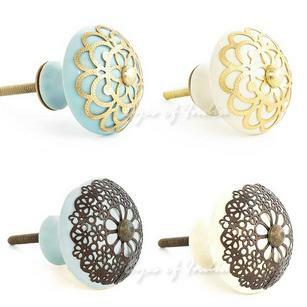 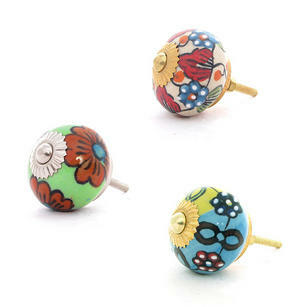 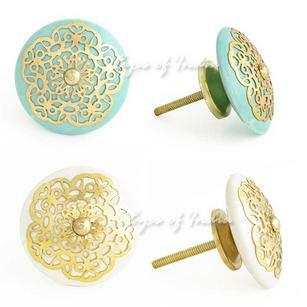 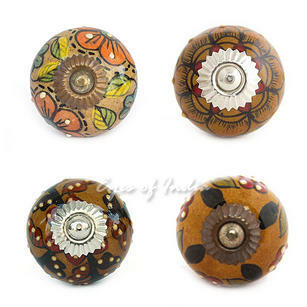 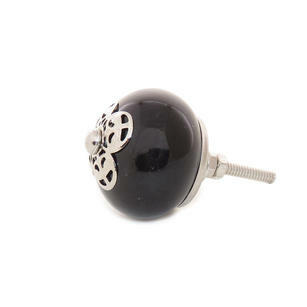 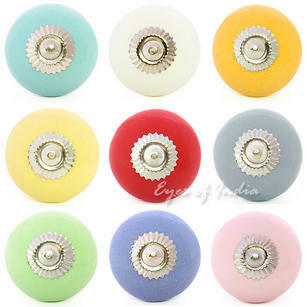 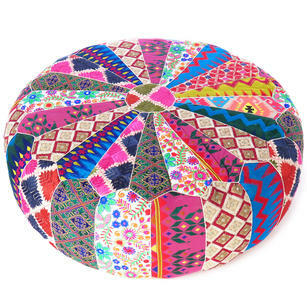 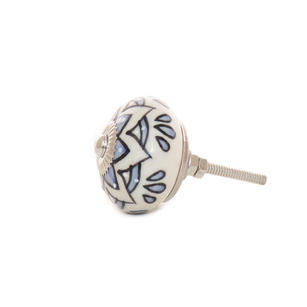 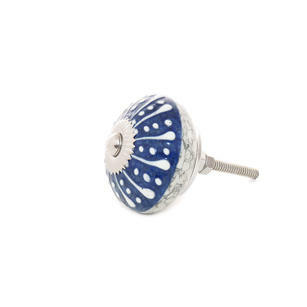 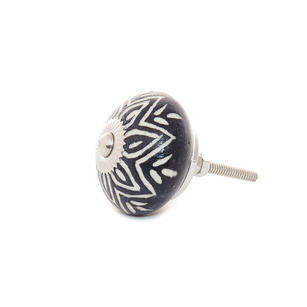 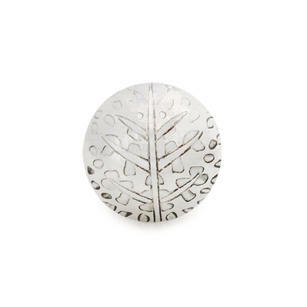 These ceramic knobs are perfect for kitchens, bathrooms as well as bedrooms and lounges. 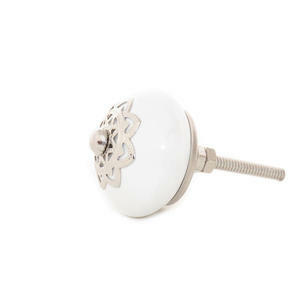 Many of our customers purchasing these knobs use them in restoring and updating furniture they may have had for a while, they lend themselves perfectly to shabby chic themes. 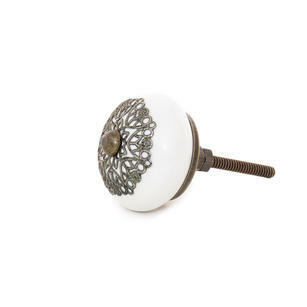 Any questions - just get in touch.